Avatar Customization (FaceLook): In this view, players will choose the look for their avatars - they can mix and match and color tint every part, no constraints or expectations apply. 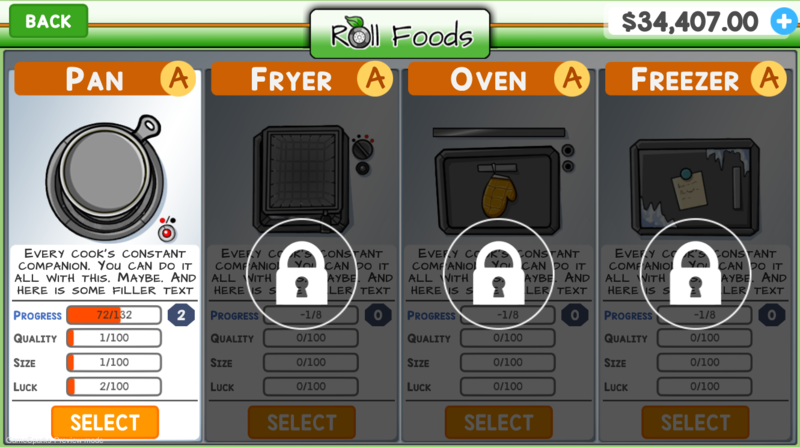 Choose Cookware: On this screen (part of creating new food), players will select from the available cookware (different types unlock as the player progresses). 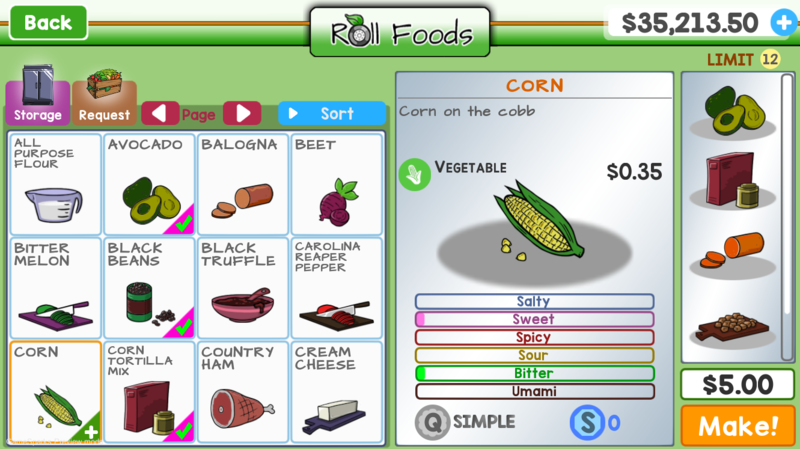 As players continually use cookware (including the core selling portion), they become more skilled in using it. High level cookware leads to higher quality food! Cooking Prep: Once a player selects the cookware they want to make their food with, they have to interact with the cookware to determine how many "flavor balance points" they'll have to work with. 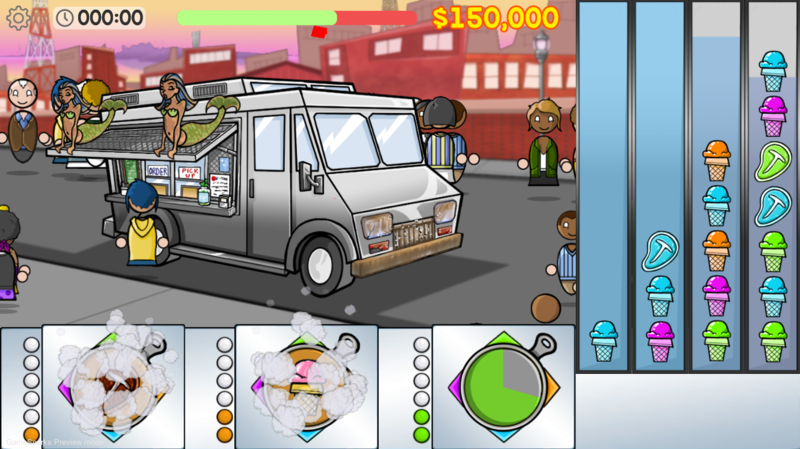 Trying to balance flavors allows players to tune their food to target neighborhood tastes. 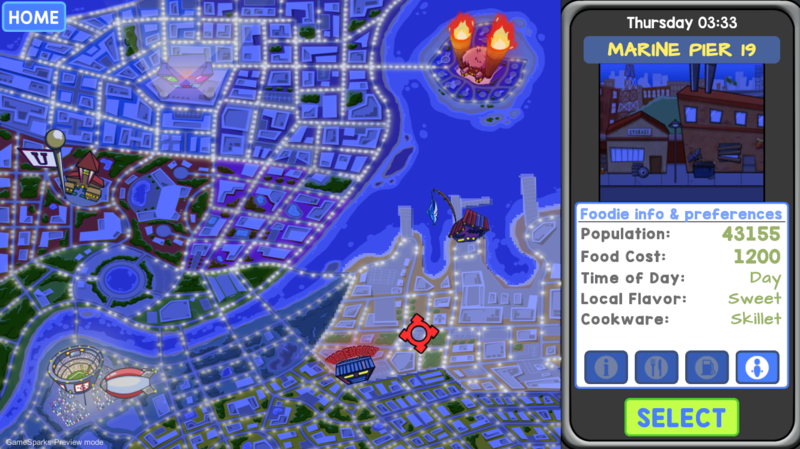 The more closely the food matches what a neighborhood wants, the better reviews and crowd sizes can be. 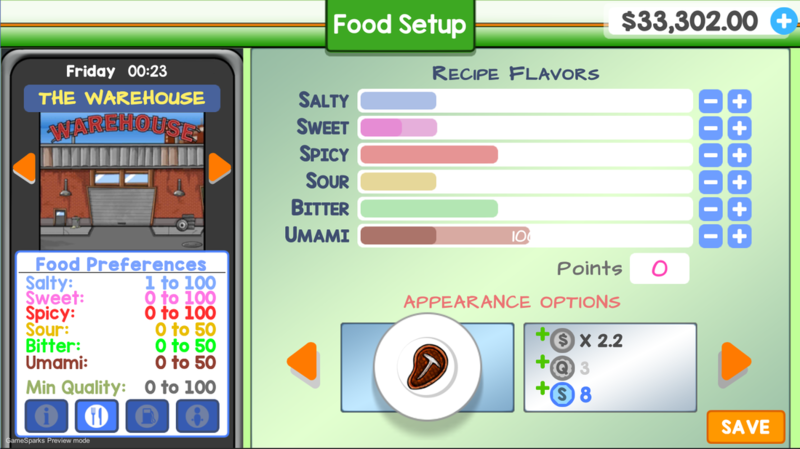 Food Setup: Players use the flavor balance points they won to "level up" their flavors and tune them to the neighborhood of their choosing. Different times of day and situation will affect the neighborhood's needs. 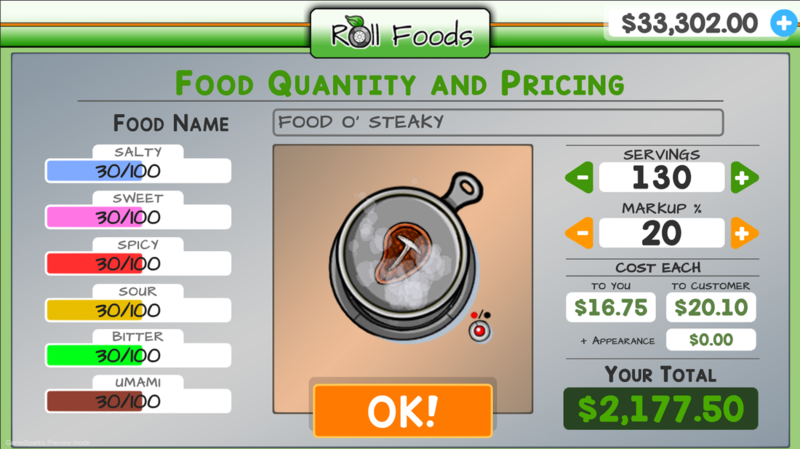 Food Quantity and Pricing: Players get to name and price the food they've created. It's important to know the market you're trying to sell in - don't over price your food or it may not sell well in certain places/times! 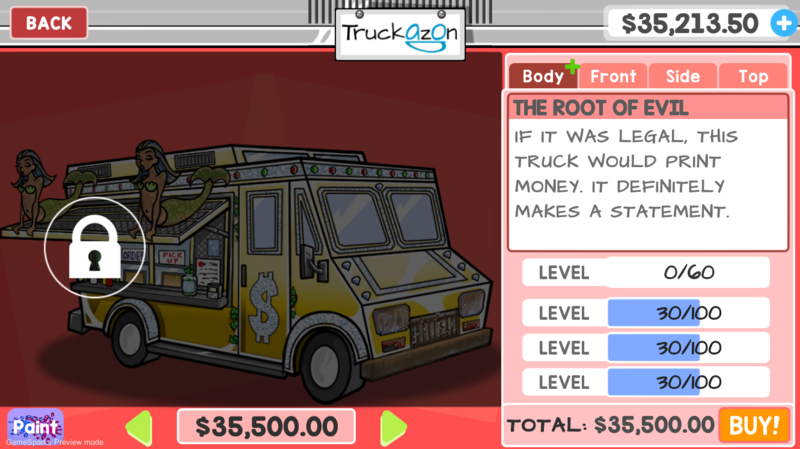 The home of Foodie Trucks, learn your neighborhoods, be aware of whats going on in the City to better address the food wants of your potential customers. 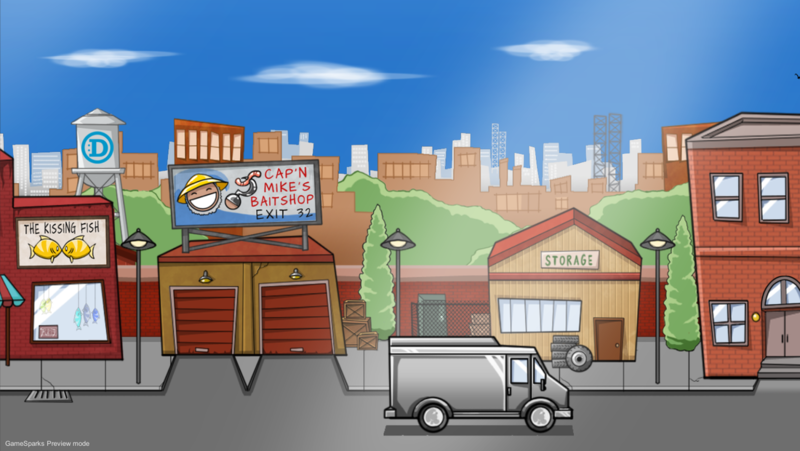 Players get to see the neighborhood that they choose to go and sell in as they drive there - learn a bit about what people have and need along the way. 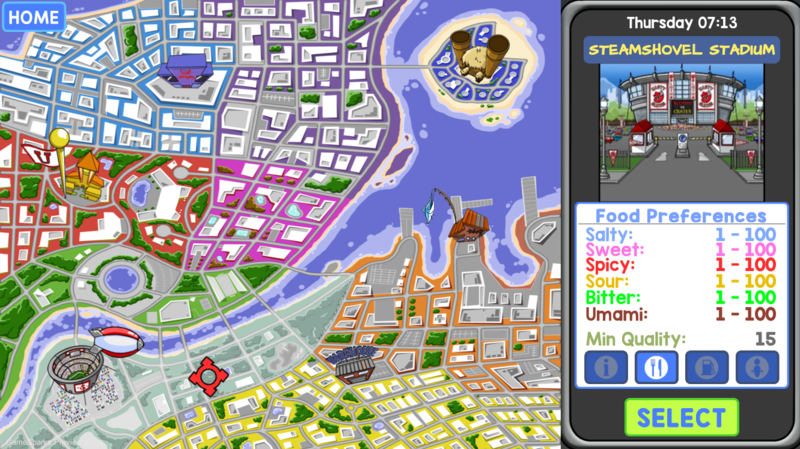 The core gameplay: Players will respond to the food orders, presented along the right side of the screen in 4 different colors that correspond to the 4 directions on each piece of cookware at the bottom of the screen. 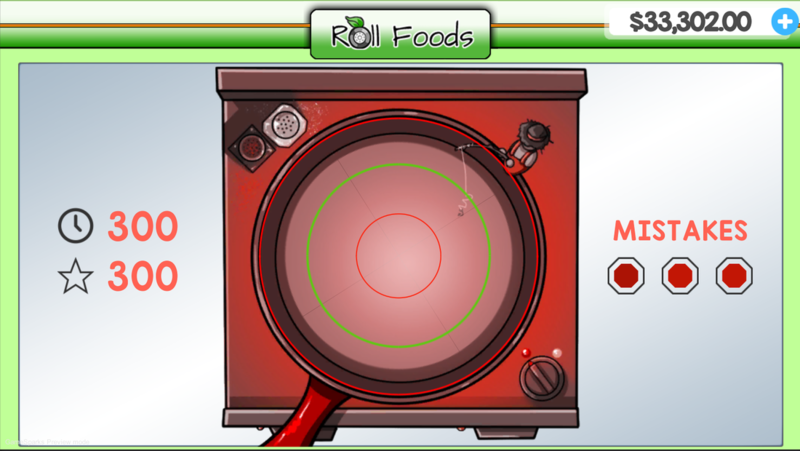 Select a food item, swipe then press the corresponding direction on the selected cookware. Decrease cook time, boost crowd excitement, increase tipping rate, and unlock huge combos by keeping the cookware hot and full!